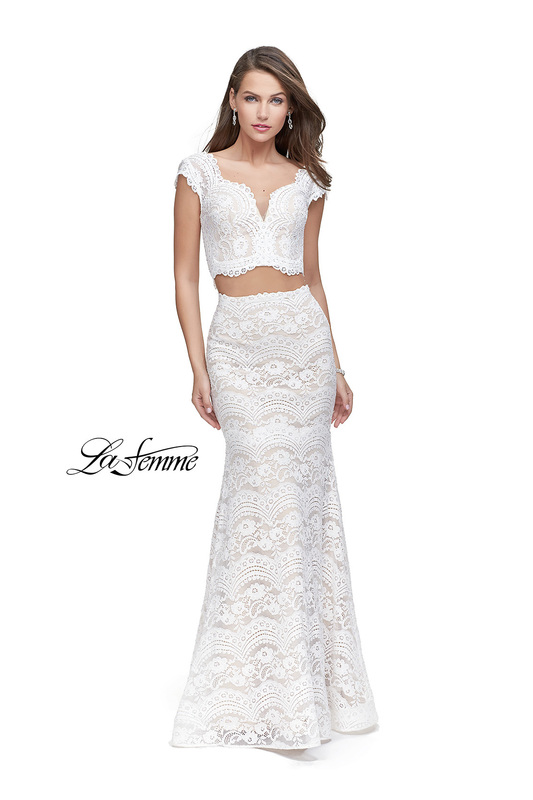 Alluring two piece mermaid dress with a sweetheart neckline and scalloped trim details. 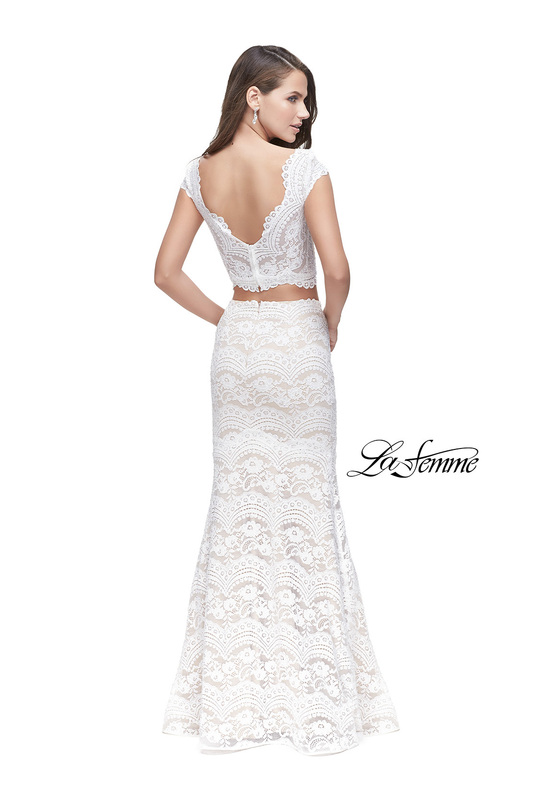 Featuring metallic beading and a low V back. Back zipper closure.